United Kingdom Private 48540 The King's (Liverpool Regiment) 30/09/1918 I. D. 4. New Zealand Rifleman 65092 New Zealand Rifle Brigade 08/10/1918 IV. C. 14. United Kingdom Lieutenant Argyll and Sutherland Highlanders 24/11/1917 Age: 28 Sp. Mem. 3. United Kingdom Second Lieutenant The King's (Liverpool Regiment) 30/09/1918 Age: 24 I. A. 15. Canadian Private 234489 Canadian Infantry (Manitoba Regiment) 28/09/1918 Age: 19 III. A. 20. Canadian Private 2356490 Canadian Infantry (Manitoba Regiment) 28/09/1918 Age: 38 III. A. 28. United Kingdom Private D/17200 6th Dragoon Guards (Carabiniers) 28/09/1918 Age: 20 II. E. 15. United Kingdom Lieutenant Royal Munster Fusiliers 04/10/1918 Age: 26 I. B. 6. United Kingdom Private CH/1556(S) Royal Marine Light Infantry 27/09/1918 I. D. 5. United Kingdom Captain The King's (Liverpool Regiment) 27/09/1918 Age: 24 I. A. 22. United Kingdom Private 52719 Royal Scots Fusiliers 01/10/1918 Age: 34 IV. D. 15. United Kingdom Private 34815 Oxford and Bucks Light Infantry 01/10/1918 IV. B. 36. United Kingdom Private 34817 Oxford and Bucks Light Infantry 01/10/1918 III. D. 9. United Kingdom Private C/66320 Royal Fusiliers 09/10/1918 Age: 35 III. C. 38. United Kingdom Private 32935 King's Own (Royal Lancaster Regiment) 26/11/1917 Age: 27 I. G. 22. United Kingdom Private 303222 Argyll and Sutherland Highlanders 21/11/1917 II. E. 9. United Kingdom Driver 357020 Royal Engineers 30/09/1918 II. E. 2. United Kingdom Private 27309 The Loyal North Lancashire Regiment 01/10/1918 II. A. 9. United Kingdom Private 51277 The King's (Liverpool Regiment) 29/10/1918 I. A. 19. United Kingdom Private 80097 Royal Fusiliers 30/09/1918 II. H. 10. United Kingdom Gunner 44527 Royal Field Artillery 08/10/1918 I. C. 7. United Kingdom Lieutenant Oxford and Bucks Light Infantry 01/10/1918 Age: 20 III. D. 2. New Zealand Rifleman 49865 New Zealand Rifle Brigade 08/10/1918 Age: 24 IV. C. 18. United Kingdom Private 27914 The Loyal North Lancashire Regiment 02/10/1918 II. E. 26. Canadian Private 258311 Canadian Infantry (Manitoba Regiment) 28/09/1918 Age: 24 II. D. 29. United Kingdom Lieutenant Irish Guards 27/11/1917 Age: 28 III. F. 7. United Kingdom Private PO/2330(S) Royal Marine Light Infantry 29/09/1918 I. A. 32. Canadian Private 3314127 Canadian Infantry (Central Ontario Regiment) 28/09/1918 Age: 21 II. D. 36. United Kingdom Lance Corporal 10847 Scots Guards 27/11/1917 II. E. 7. Canadian Private 838834 Canadian Infantry (Central Ontario Regiment) 29/09/1918 Age: 25 II. E. 24. United Kingdom Private 39044 South Lancashire Regiment 09/10/1918 I. C. 27. United Kingdom Rifleman 50710 The King's (Liverpool Regiment) 30/09/1918 II. B. 4. United Kingdom Private CH/20817 Royal Marine Light Infantry 27/09/1918 Age: 20 I. D. 6. United Kingdom Bombardier 64269 Royal Field Artillery 27/09/1918 II. E. 18. United Kingdom Private 15172 Scots Guards 27/11/1917 Age: 23 II. E. 6. United Kingdom Rifleman 235598 The King's (Liverpool Regiment) 04/10/1918 Age: 25 I. E. 19. United Kingdom Private 28989 The King's (Liverpool Regiment) 08/10/1918 Age: 32 I. C. 23. United Kingdom Private 241304 Highland Light Infantry 04/10/1918 IV. D. 36. New Zealand Private 61186 Auckland Regiment N.Z.E.F. 01/10/1918 III. C. 7. New Zealand Rifleman 47970 New Zealand Rifle Brigade 05/10/1918 IV. C. 12. United Kingdom Second Lieutenant Royal Field Artillery 08/10/1918 Age: 21 I. C. 5. United Kingdom Private 29022 Grenadier Guards 28/11/1917 I. C. 34. Canadian Private 414240 Canadian Machine Gun Corps 29/09/1918 Age: 28 II. C. 10. New Zealand Rifleman 54225 New Zealand Rifle Brigade 08/10/1918 IV. C. 19. United Kingdom Lance Corporal 25217 The King's (Liverpool Regiment) 05/10/1918 II. H. 5. United Kingdom Private 202394 The King's (Liverpool Regiment) 27/09/1918 Age: 32 I. A. 14. United Kingdom Private 25344 Oxford and Bucks Light Infantry 01/10/1918 IV. B. 29. United Kingdom Able Seaman R/1071 Royal Naval Volunteer Reserve 08/10/1918 III. C. 29. United Kingdom Private 32877 South Lancashire Regiment 07/10/1918 I. C. 26. United Kingdom Serjeant 3346 Royal Munster Fusiliers 30/09/1918 Age: 28 I. C. 18. 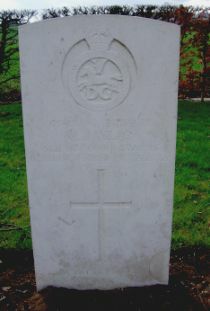 United Kingdom Private 18250 Royal Munster Fusiliers 28/09/1918 Age: 20 I. B. 23. United Kingdom Private 39440 The King's (Liverpool Regiment) 05/10/1918 I. B. 34. United Kingdom Private 105511 The King's (Liverpool Regiment) 30/09/1918 II. B. 9. United Kingdom Private 34657 Oxford and Bucks Light Infantry 01/10/1918 III. D. 12. New Zealand Private 46222 Auckland Regiment N.Z.E.F. 01/10/1918 Age: 28 III. B. 9. United Kingdom Private 100192 Royal Fusiliers 01/10/1918 Age: 19 II. H. 12. United Kingdom Private 96907 Tank Corps 07/10/1918 Age: 20 IV. B. 8. United Kingdom Private G/93109 Royal Fusiliers 03/10/1918 Age: 36 III. C. 37. United Kingdom Pioneer 301691 Royal Engineers 08/10/1918 Age: 29 II. H. 6. New Zealand Private 28265 New Zealand Machine Gun Battalion 10/10/1918 Age: 22 III. B. 27. United Kingdom Private 27799 The Loyal North Lancashire Regiment 28/09/1918 Age: 27 I. A. 3. United Kingdom Second Lieutenant The Loyal North Lancashire Regiment 28/09/1918 Age: 20 I. A. 9. United Kingdom Private 48198 Welsh Regiment 25/11/1917 III. D. 34. United Kingdom Captain Royal Field Artillery 11/10/1918 Age: 29 III. A. 31. Canadian Private 3314269 Canadian Infantry (Central Ontario Regiment) 27/09/1918 II. D. 11. United Kingdom Battery Serjeant Major 317270 Royal Garrison Artillery 08/10/1918 I. C. 8. Canadian Private 3105833 Canadian Infantry (Central Ontario Regiment) 29/09/1918 III. A. 18. Canadian Private 3030815 Canadian Infantry (Central Ontario Regiment) 29/09/1918 Age: 26 I. G. 18. United Kingdom Private 241023 Royal Scots Fusiliers 02/10/1918 Age: 21 I. A. 26. United Kingdom Driver 124404 Royal Field Artillery 28/09/1918 III. D. 29. New Zealand Private 74156 Auckland Regiment N.Z.E.F. 02/10/1918 Age: 21 IV. C. 10. United Kingdom Lance Serjeant PLY/256(S) Royal Marine Light Infantry 29/09/1918 II. E. 19. United Kingdom Private IDN/5813 2nd Dragoons (Royal Scots Greys) 28/11/1917 IV. A. 6. New Zealand Private 44824 Auckland Regiment N.Z.E.F. 01/10/1918 Age: 22 III. C. 8. New Zealand Rifleman 58230 New Zealand Rifle Brigade 08/10/1918 III. B. 31. Canadian Private 240639 Canadian Infantry (Central Ontario Regiment) 27/09/1918 II. D. 9. United Kingdom Private PO/2816(S) Royal Marine Light Infantry 08/10/1918 Age: 29 IV. D. 1. Canadian Corporal 730527 Canadian Infantry (Manitoba Regiment) 28/09/1918 III. A. 27. New Zealand Serjeant 26787 Auckland Regiment N.Z.E.F. 01/10/1918 Age: 28 III. C. 2. New Zealand Rifleman 62012 New Zealand Rifle Brigade 05/10/1918 IV. B. 3. United Kingdom Private 332127 The King's (Liverpool Regiment) 08/10/1918 I. C. 22. United Kingdom Rifleman 72494 The King's (Liverpool Regiment) 30/09/1918 II. B. 1. United Kingdom Serjeant 1149 1st King Edward's Horse 21/11/1917 Age: 40 III. F. 79. Canadian Private 121593 Canadian Infantry (Central Ontario Regiment) 29/09/1918 Age: 27 III. A. 24. Canadian Private 3107062 Canadian Infantry (Central Ontario Regiment) 30/09/1918 II. D. 31. United Kingdom Private 36925 The Loyal North Lancashire Regiment 28/09/1918 I. A. 7. Canadian Private 3105320 Canadian Infantry (Central Ontario Regiment) 29/09/1918 Age: 18 II. D. 17. United Kingdom Private 242975 South Lancashire Regiment 01/10/1918 Age: 32 I. A. 28. United Kingdom Private 29519 South Wales Borderers 22/11/1917 Age: 25 II. G. 34. United Kingdom Corporal D/1233 5th Dragoon Guards (Princess Charlotte of Wales's) 26/11/1917 III. F. 13/14. Canadian Private 835152 Canadian Infantry (Central Ontario Regiment) 27/09/1918 Age: 23 II. D. 4. United Kingdom Lance Corporal 28469 Royal Welsh Fusiliers 23/11/1917 Age: 18 II. E. 21. United Kingdom Private 202423 Royal Scots Fusiliers 01/10/1918 IV. D. 28. United Kingdom Private 34675 King's Own (Royal Lancaster Regiment) 04/10/1918 Age: 34 I. B. 8. United Kingdom Fitter 256221 Royal Field Artillery 01/10/1918 Age: 19 I. F. 11. New Zealand Rifleman 69573 New Zealand Rifle Brigade 08/10/1918 Age: 28 IV. C. 22. 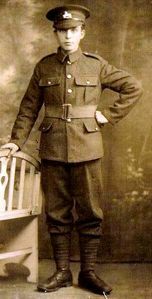 United Kingdom Private 160209 Machine Gun Corps (Infantry) 08/10/1918 Age: 19 III. C. 31. United Kingdom Rifleman 43780 The King's (Liverpool Regiment) 30/09/1918 II. B. 14. United Kingdom Lance Corporal 202677 Gordon Highlanders 21/11/1917 I. E. 1. United Kingdom Rifleman 12892 The King's (Liverpool Regiment) 30/09/1918 II. B. 8. United Kingdom Gunner 245038 Royal Field Artillery 02/10/1918 Age: 27 I. A. 24. Canadian Private 249459 Canadian Infantry (Central Ontario Regiment) 20/09/1918 II. C. 6. Canadian Private 701062 Canadian Infantry (Manitoba Regiment) 28/09/1918 Age: 24 II. D. 24. Canadian Private 910959 Canadian Machine Gun Corps 01/10/1918 I. H. 25. United Kingdom Private 202389 The King's (Liverpool Regiment) 27/09/1918 I. F. 28. United Kingdom Private 202014 South Lancashire Regiment 01/10/1918 I. A. 27. New Zealand Rifleman 56416 New Zealand Rifle Brigade 08/10/1918 Age: 22 IV. C. 16. United Kingdom Private 300422 Argyll and Sutherland Highlanders 26/11/1917 IV. A. 5. Canadian Lance Corporal 250138 Canadian Infantry (Central Ontario Regiment) 29/09/1918 II. E. 23. United Kingdom Lieutenant Royal Engineers 01/10/1918 Age: 33 II. A. 15. Canadian Private 453790 Canadian Infantry (Central Ontario Regiment) 29/09/1918 Age: 21 II. D. 32. Canadian Private 654279 Canadian Infantry (Central Ontario Regiment) 29/09/1918 II. D. 18. United Kingdom Pioneer 107141 Royal Engineers 24/11/1917 IV. A. 29. United Kingdom Serjeant 50746 Machine Gun Corps (Cavalry) 25/11/1917 Age: 23 III. F. 23. United Kingdom Private Ply/18041 Royal Marine Light Infantry 27/09/1918 III. D. 37. New Zealand Serjeant 33312 New Zealand Rifle Brigade 08/10/1918 Age: 42 IV. B. 19. New Zealand Private 52581 Otago Regiment N.Z.E.F. 08/10/1918 Age: 23 IV. B. 17. United Kingdom Private 43789 Worcestershire Regiment 28/09/1918 II. E. 4. United Kingdom Private 30723 The Loyal North Lancashire Regiment 04/10/1918 I. B. 26. United Kingdom Private 244701 The Loyal North Lancashire Regiment 28/09/1918 Age: 24 I. A. 31. United Kingdom Private 45593 South Lancashire Regiment 08/10/1918 Age: 19 I. C. 28. United Kingdom Private 109684 Tank Corps 08/10/1918 Age: 22 IV. C. 2. Australian Private 6586 Australian Infantry A.I.F. 15/04/1917 Age: 34 IV. A. 8. United Kingdom Private 31122 The Loyal North Lancashire Regiment 28/09/1918 I. C. 1. New Zealand Private 62024 Auckland Regiment N.Z.E.F. 01/10/1918 III. B. 20. United Kingdom Private 204314 Northumberland Fusiliers 09/10/1918 III. F. 53. Canadian Sergeant 688182 Canadian Machine Gun Corps 28/09/1918 Age: 21 III. F. 87. United Kingdom Private 40533 Royal Army Medical Corps 09/10/1918 Age: 25 II. E. 13. United Kingdom Private 64979 The King's (Liverpool Regiment) 05/10/1918 I. H. 31. United Kingdom Leading Seaman R/3441 Royal Naval Volunteer Reserve 08/10/1918 Age: 28 III. C. 27. United Kingdom Private 32628 Oxford and Bucks Light Infantry 01/10/1918 Age: 23 III. D. 11. Canadian Corporal 690352 Canadian Infantry (Manitoba Regiment) 28/09/1918 Age: 24 I. F. 37. United Kingdom Private 13965 The Loyal North Lancashire Regiment 28/09/1918 I. A. 20. New Zealand Rifleman 57581 New Zealand Rifle Brigade 08/10/1918 Age: 27 III. B. 30. New Zealand Corporal 23/1370 New Zealand Rifle Brigade 05/10/1918 IV. B. 1. United Kingdom Private 44745 Welsh Regiment 23/11/1917 IV. A. 27. United Kingdom Private 34810 Oxford and Bucks Light Infantry 01/10/1918 Age: 19 IV. B. 26. United Kingdom Private 43795 Worcestershire Regiment 30/09/1918 II. E. 5. Canadian Private 2181309 Canadian Infantry (Manitoba Regiment) 28/09/1918 Age: 18 II. D. 28. United Kingdom Private 32886 South Lancashire Regiment 08/10/1918 I. C. 11. Canadian Lieutenant Canadian Infantry (Manitoba Regiment) 28/09/1918 Age: 23 II. D. 26. United Kingdom Able Seaman Clyde Z/5072 Royal Naval Volunteer Reserve 08/10/1918 III. C. 32. Canadian Private 2137995 Canadian Infantry (Manitoba Regiment) 28/09/1918 II. D. 33. United Kingdom Private 29107 The Loyal North Lancashire Regiment 28/09/1918 Age: 19 I. A. 5. United Kingdom Private 41008 Northamptonshire Regiment 10/10/1918 Age: 19 Sp. Mem. 4. New Zealand Private 68698 Auckland Regiment N.Z.E.F. 01/10/1918 Age: 22 III. C. 9. United Kingdom Drummer 240846 South Lancashire Regiment 04/10/1918 I. B. 10. United Kingdom Private 240082 The Loyal North Lancashire Regiment 02/10/1918 II. A. 14. Canadian Lance Corporal 184076 Canadian Infantry (Central Ontario Regiment) 27/09/1918 Age: 24 II. D. 3. Canadian Private 2138831 Canadian Infantry (Manitoba Regiment) 28/09/1918 Age: 31 I. G. 9. United Kingdom Private 57903 Highland Light Infantry 01/10/1918 Age: 19 IV. B. 11. United Kingdom Private 5958 19th (Queen Alexandra's Own Royal) Hussars 25/11/1917 III. F. 21. United Kingdom Private 265357 Oxford and Bucks Light Infantry 01/10/1918 Age: 28 IV. B. 38. United Kingdom Second Lieutenant Coldstream Guards 28/11/1917 Age: 21 I. D. 15. United Kingdom Lance Corporal 23252 Yorkshire Regiment 24/11/1917 Age: 29 I. H. 35. United Kingdom Private 48997 King's Own (Royal Lancaster Regiment) 28/09/1918 I. D. 8. United Kingdom Private 304595 Tank Corps 08/10/1918 IV. C. 4. United Kingdom Private 202679 Seaforth Highlanders 20/11/1917 Age: 27 II. F. 12. United Kingdom Private 266994 Black Watch (Royal Highlanders) 25/03/1918 Age: 21 III. A. 32. United Kingdom Captain Welsh Regiment 24/11/1917 Age: 23 I. E. 31. Canadian Private 648274 Canadian Infantry (Manitoba Regiment) 28/09/1918 Age: 35 II. D. 37. Canadian Private 3106113 Canadian Infantry (Central Ontario Regiment) 27/09/1918 II. D. 8. United Kingdom Private 30716 Oxford and Bucks Light Infantry 01/10/1918 Age: 19 IV. B. 35. United Kingdom Rifleman 88874 The King's (Liverpool Regiment) 30/09/1918 II. B. 3. United Kingdom Able Seaman R/6731 Royal Naval Volunteer Reserve 29/09/1918 I. C. 3. United Kingdom Private 93185 Royal Fusiliers 01/10/1918 Age: 19 II. H. 13. United Kingdom Private PLY/94(S) Royal Marine Light Infantry 27/09/1918 Age: 29 I. E. 16. Canadian Private 2380637 Canadian Infantry (Manitoba Regiment) 28/09/1918 Age: 25 III. A. 21. United Kingdom Lance Corporal PLY/1802(S) Royal Marine Light Infantry 27/09/1918 Age: 20 I. D. 10. United Kingdom Gunner 1940 Royal Field Artillery 11/10/1918 Sp. Mem. 1. New Zealand Rifleman 73330 New Zealand Rifle Brigade 05/10/1918 Age: 21 III. B. 32. United Kingdom Corporal 30117 Bedfordshire Yeomanry 24/11/1917 Age: 22 III. F. 29. United Kingdom Private 4128 Royal Munster Fusiliers 25/09/1918 I. C. 19. United Kingdom Private 45936 South Lancashire Regiment 06/10/1918 Age: 19 I. B. 32. United Kingdom Leading Seaman ClydeZ/3818 Royal Naval Volunteer Reserve 29/09/1918 II. A. 13. United Kingdom Lance Corporal 201199 King's Own Scottish Borderers 03/10/1918 Age: 29 I. H. 20. United Kingdom Private 91201 The King's (Liverpool Regiment) 30/09/1918 I. C. 33. United Kingdom Private 37800 King's Own (Royal Lancaster Regiment) 28/09/1918 I. D. 7. 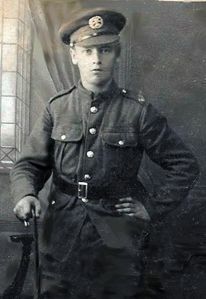 United Kingdom Drummer 201260 South Lancashire Regiment 04/10/1918 Age: 20 I. B. 13. United Kingdom Sapper 430186 Royal Engineers 04/10/1918 Age: 22 II. C. 1. United Kingdom Private 34778 Oxford and Bucks Light Infantry 01/10/1918 Age: 19 IV. B. 33. United Kingdom Private 5184 Royal Munster Fusiliers 04/10/1918 I. B. 14. Canadian Lance Corporal 123308 Canadian Infantry (Central Ontario Regiment) 30/09/1918 Age: 41 II. D. 25. New Zealand Private 42071 Auckland Regiment N.Z.E.F. 01/10/1918 III. C. 10. United Kingdom Able Seaman R/6729 Royal Naval Volunteer Reserve 29/09/1918 II. A. 3. United Kingdom Private 309128 Tank Corps 08/10/1918 Age: 28 IV. C. 1. United Kingdom Second Lieutenant The Loyal North Lancashire Regiment 28/09/1918 Age: 21 I. A. 3. United Kingdom Private 28836 The Loyal North Lancashire Regiment 28/09/1918 I. A. 4. United Kingdom Gunner 18788 Royal Garrison Artillery 30/09/1918 II. E. 39. United Kingdom Gunner W/2319 Royal Field Artillery 07/10/1918 II. E. 17. United Kingdom Lance Corporal S/40785 Gordon Highlanders 21/11/1917 I. E. 7. New Zealand Corporal 23/1052 New Zealand Rifle Brigade 05/10/1918 IV. B. 4. New Zealand Rifleman 40929 New Zealand Rifle Brigade 08/10/1918 Age: 36 III. B. 36. Canadian Lieutenant Canadian Machine Gun Corps 28/09/1918 Age: 25 II. H. 7. Canadian Private 3131591 Canadian Infantry (Western Ontario Regiment) 29/09/1918 III. F. 4. United Kingdom Lance Corporal 42258 Gordon Highlanders 01/10/1918 Age: 18 III. B. 18. United Kingdom Private 57635 Machine Gun Corps (Infantry) 30/09/1918 II. A. 7. United Kingdom Private 133007 Machine Gun Corps (Infantry) 08/10/1918 II. H. 29. United Kingdom Private 36676 East Surrey Regiment 09/10/1918 Age: 19 I. C. 14. Canadian Private 754325 Canadian Infantry (Central Ontario Regiment) 29/09/1918 Age: 24 I. G. 11. United Kingdom Rifleman 94915 The King's (Liverpool Regiment) 29/09/1918 Age: 19 I. A. 16. New Zealand Private 61259 Auckland Regiment N.Z.E.F. 01/10/1918 Age: 28 III. C. 11. United Kingdom Lance Bombardier 956515 Royal Field Artillery 01/10/1918 Age: 19 I. F. 10. United Kingdom Lieutenant Gordon Highlanders 21/11/1917 Age: 24 I. E. 3. New Zealand Private 45852 Wellington Regiment N.Z.E.F. 30/09/1918 IV. D. 37. United Kingdom Private 32892 South Lancashire Regiment 02/10/1918 I. B. 3. Canadian Private 648362 4th Canadian Mounted Rifles (Central Ontario Regiment) 09/10/1918 Age: 31 III. F. 49. United Kingdom Serjeant P/10739 Military Police Corps 03/10/1918 II. E. 34. Canadian Private 3030514 Canadian Infantry (Central Ontario Regiment) 29/09/1918 Age: 37 I. H. 21. New Zealand Private 70270 Auckland Regiment N.Z.E.F. 01/10/1918 Age: 37 III. C. 12. United Kingdom Lance Corporal 266266 Gordon Highlanders 23/11/1917 Age: 24 III. F. 83. United Kingdom Second Lieutenant Royal Irish Regiment 27/09/1918 Age: 25 I. B. 17. New Zealand Private 71741 Auckland Regiment N.Z.E.F. 01/10/1918 III. C. 13. United Kingdom Private 307703 Tank Corps 08/10/1918 IV. C. 3. New Zealand Rifleman 69024 New Zealand Rifle Brigade 05/10/1918 IV. B. 5. United Kingdom Private 15223 Royal Munster Fusiliers 30/09/1918 Age: 30 I. B. 19. Canadian Private 256777 Canadian Infantry (Manitoba Regiment) 28/09/1918 II. D. 30. United Kingdom Private 29342 Highland Light Infantry 24/11/1917 I. E. 29. New Zealand Private 62971 Otago Regiment N.Z.E.F. 08/10/1918 IV. B. 21. New Zealand Rifleman 24/441 New Zealand Rifle Brigade 08/10/1918 Age: 24 IV. C. 13. United Kingdom Rifleman 570140 London Regiment 30/11/1917 Age: 22 I. G. 1. United Kingdom Private 34779 Oxford and Bucks Light Infantry 01/10/1918 Age: 19 IV. B. 40. United Kingdom Private 201342 Royal Scots Fusiliers 01/10/1918 IV. D. 33. United Kingdom Private 31154 The Loyal North Lancashire Regiment 28/09/1918 I. A. 10. Canadian Sergeant 400524 Canadian Infantry (Central Ontario Regiment) 29/09/1918 Age: 31 II. F. 1. Canadian Private 2355561 Canadian Infantry (Western Ontario Regiment) 29/09/1918 Age: 22 III. F. 1. New Zealand Private 40555 Auckland Regiment N.Z.E.F. 01/10/1918 Age: 29 III. C. 25. United Kingdom Private 307623 Tank Corps 07/10/1918 Age: 24 IV. B. 9. United Kingdom Private 25582 The King's (Liverpool Regiment) 29/09/1918 I. A. 17. Canadian Private 249530 Canadian Infantry (Central Ontario Regiment) 29/09/1918 II. D. 40. New Zealand Private 60113 Auckland Regiment N.Z.E.F. 01/10/1918 III. C. 14. United Kingdom Private 23727 South Wales Borderers 22/11/1917 Age: 20 I. F. 31. United Kingdom Private G/65789 Royal Fusiliers 01/10/1918 Age: 24 II. H. 11. United Kingdom Private 33155 The Loyal North Lancashire Regiment 28/09/1918 II. E. 28. United Kingdom Private 49383 King's Own (Royal Lancaster Regiment) 28/09/1918 Age: 21 II. H. 21. New Zealand Rifleman 72028 New Zealand Rifle Brigade 08/10/1918 III. B. 33. United Kingdom Able Seaman R/6742 Royal Naval Volunteer Reserve 29/09/1918 Age: 21 I. A. 33. United Kingdom Private 38254 The Loyal North Lancashire Regiment 30/09/1918 Age: 38 I. A. 21. New Zealand Lance Corporal 38533 New Zealand Rifle Brigade 08/10/1918 Age: 38 IV. B. 20. United Kingdom Private 34705 Oxford and Bucks Light Infantry 01/10/1918 III. D. 16. United Kingdom Rifleman 305907 West Yorkshire Regiment (Prince of Wales's Own) 28/11/1917 IV. C. 31. United Kingdom Second Lieutenant Machine Gun Corps (Infantry) 29/09/1918 Age: 20 II. A. 8. United Kingdom Private 240335 Royal Scots Fusiliers 01/10/1918 IV. D. 31. Canadian Private 2507396 Canadian Infantry (Central Ontario Regiment) 29/09/1918 Age: 31 I. G. 17. United Kingdom Rifleman 24125 The King's (Liverpool Regiment) 30/09/1918 II. B. 2. United Kingdom Private 90863 The King's (Liverpool Regiment) 07/10/1918 Age: 19 I. C. 10. United Kingdom Rifleman 41202 The King's (Liverpool Regiment) 29/09/1918 I. F. 36. Canadian Lance Corporal 811475 Canadian Infantry (Alberta Regiment) 28/09/1918 Age: 28 III. A. 23. New Zealand Rifleman 42854 New Zealand Rifle Brigade 05/10/1918 Age: 30 IV. C. 11. Canadian Private 754423 Canadian Infantry (Central Ontario Regiment) 30/09/1918 Age: 31 II. D. 34. United Kingdom Private 265811 The King's (Liverpool Regiment) 27/09/1918 Age: 20 I. F. 27. United Kingdom Private 240865 South Lancashire Regiment 02/10/1918 I. B. 1. United Kingdom Private G/05989 Royal Fusiliers 30/09/1918 IV. D. 5. United Kingdom Private 91881 Tank Corps 23/11/1917 II. F. 21. United Kingdom Private 6354 Royal Munster Fusiliers 28/09/1918 I. C. 17. New Zealand Farrier Serjeant 2/67A New Zealand Field Artillery 01/10/1918 Age: 27 I. A. 23. United Kingdom Private 25033 Welsh Regiment 25/11/1917 Age: 28 II. G. 25. United Kingdom Sapper 79886 Royal Engineers 04/10/1918 Age: 36 I. B. 12. United Kingdom Second Lieutenant King's Shropshire Light Infantry 12/08/1917 Age: 23 IV. A. 10. United Kingdom Private 31121 The Loyal North Lancashire Regiment 28/09/1918 Age: 36 I. C. 3. United Kingdom Able Seaman R/4553 Royal Naval Volunteer Reserve 28/09/1918 I. B. 16. Canadian Private 871864 Canadian Infantry (Manitoba Regiment) 27/09/1918 Age: 19 IV. C. 40. United Kingdom Private 380078 The King's (Liverpool Regiment) 27/09/1918 I. A. 13. New Zealand Corporal 46949 Otago Regiment N.Z.E.F. 08/10/1918 IV. B. 23. United Kingdom Private 57883 The King's (Liverpool Regiment) 27/09/1918 I. B. 4. United Kingdom Lance Bombardier 177057 Royal Garrison Artillery 02/10/1918 Age: 47 II. A. 11. United Kingdom Lance Corporal E/2434 Royal Fusiliers 29/09/1918 I. E. 10. United Kingdom Private 43355 Welsh Regiment 25/11/1917 II. G. 36. United Kingdom Private 203154 The Loyal North Lancashire Regiment 28/09/1918 Age: 22 I. A. 6. United Kingdom Private 35005 King's Own (Royal Lancaster Regiment) 28/09/1918 I. E. 13. New Zealand Private 72847 Otago Regiment N.Z.E.F. 08/10/1918 IV. B. 22. United Kingdom Private 515434 London Regiment (London Scottish) 25/09/1917 Age: 27 III. F. 85. Canadian Corporal 925786 Canadian Machine Gun Corps 29/09/1918 Age: 23 III. A. 30. Canadian Private 479082 Royal Canadian Regiment 28/09/1918 Age: 32 III. A. 29. United Kingdom Second Lieutenant Welsh Regiment 24/11/1917 Age: 28 I. G. 20. United Kingdom Serjeant 8766 Scots Guards 27/11/1917 Age: 24 II. F. 37. New Zealand Private 68957 Otago Regiment N.Z.E.F. 08/10/1918 Age: 32 IV. B. 24. United Kingdom Lieutenant Argyll and Sutherland Highlanders 23/03/1918 Age: 20 III. A. 32. United Kingdom Lance Corporal 17389 The King's (Liverpool Regiment) 30/09/1918 Age: 28 II. B. 10. United Kingdom Private 266288 South Lancashire Regiment 04/10/1918 Age: 32 I. B. 15. New Zealand Private 49090 Auckland Regiment N.Z.E.F. 01/10/1918 Age: 27 III. C. 4. United Kingdom Sapper 459910 Royal Engineers 29/09/1918 II. C. 2. United Kingdom Rifleman 87952 The King's (Liverpool Regiment) 30/09/1918 II. B. 13. New Zealand Private 69494 Wellington Regiment N.Z.E.F. 01/10/1918 III. B. 34. New Zealand Private 59911 Auckland Regiment N.Z.E.F. 01/10/1918 Age: 27 III. C. 15. United Kingdom Lance Serjeant 24675 Yorkshire Regiment 07/12/1917 III. F. 27. United Kingdom Private 235309 The King's (Liverpool Regiment) 08/10/1918 I. C. 24. New Zealand Private 56614 Auckland Regiment N.Z.E.F. 01/10/1918 Age: 21 III. C. 16. United Kingdom Private CH/2348(S) Royal Marine Light Infantry 30/09/1918 IV. D. 27. United Kingdom Private 26470 Duke of Wellington's (West Riding Regiment) 17/11/1917 II. F. 26. United Kingdom Gunner 90529 Royal Field Artillery 08/10/1918 IV. B. 15. United Kingdom Private 26391 King's Shropshire Light Infantry 12/08/1917 IV. A. 9. New Zealand Private 23/1420 Auckland Regiment N.Z.E.F. 01/10/1918 Age: 26 III. B. 12. New Zealand Rifleman 53792 New Zealand Rifle Brigade 08/10/1918 Age: 34 IV. B. 18. New Zealand Private 56621 Auckland Regiment N.Z.E.F. 01/10/1918 III. C. 17. United Kingdom Private 34719 Oxford and Bucks Light Infantry 01/10/1918 Age: 19 III. D. 4. New Zealand Serjeant 24/2017 New Zealand Rifle Brigade 08/10/1918 Age: 38 IV. C. 17. Canadian Private 1090239 Canadian Infantry (Central Ontario Regiment) 30/09/1918 Age: 29 II. A. 2. Canadian Private 829280 Canadian Infantry (Manitoba Regiment) 28/09/1918 II. D. 23. United Kingdom Private 30249 Oxford and Bucks Light Infantry 01/10/1918 Age: 19 III. D. 17. United Kingdom Private 15984 Scots Guards 27/11/1917 Age: 26 II. E. 6. United Kingdom Lance Corporal GS/5456 2nd Dragoon Guards (Queen's Bays) 21/11/1917 II. E. 3. Canadian Private 1004083 Canadian Infantry (Manitoba Regiment) 28/09/1918 II. D. 38. 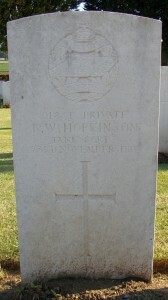 United Kingdom Private 18057 Coldstream Guards 27/11/1917 Age: 26 Sp. Mem. 6. United Kingdom Rifleman 572820 London Regiment 30/11/1917 II. F. 30. Canadian Private 928333 Canadian Infantry (Western Ontario Regiment) 29/09/1918 Age: 23 III. F. 3. United Kingdom Private 30259 Oxford and Bucks Light Infantry 01/10/1918 IV. B. 34. United Kingdom Lieutenant 6th Dragoon Guards (Carabiniers) 29/11/1916 II. F. 32. United Kingdom Lance Corporal 201718 Oxford and Bucks Light Infantry 01/10/1918 III. D. 3. United Kingdom Private 331374 The King's (Liverpool Regiment) 30/09/1918 III. D. 40. Canadian Private 2562329 Canadian Infantry (Central Ontario Regiment) 01/10/1918 Age: 35 II. D. 35. New Zealand Private 39068 Auckland Regiment N.Z.E.F. 01/10/1918 Age: 25 III. C. 17. United Kingdom Rifleman 235310 The King's (Liverpool Regiment) 05/10/1918 Age: 29 I. B. 31. United Kingdom Serjeant 4028 19th (Queen Alexandra's Own Royal) Hussars 25/11/1917 Age: 27 III. F. 24. United Kingdom Lance Corporal 201561 Gordon Highlanders 23/11/1917 I. E. 8. United Kingdom Private Ply/1301(S) Royal Marine Light Infantry 29/09/1918 I. E. 15. United Kingdom Private 265223 Oxford and Bucks Light Infantry 01/10/1918 III. D. 6. United Kingdom Private 31142 The Loyal North Lancashire Regiment 30/09/1918 I. B. 9. United Kingdom Serjeant 27871 Welsh Regiment 24/11/1917 Age: 24 II. G. 10. United Kingdom Private 20406 Grenadier Guards 04/10/1918 Age: 25 I. B. 7. United Kingdom Private 94949 The King's (Liverpool Regiment) 27/09/1918 I. A. 12. United Kingdom Private 34838 Oxford and Bucks Light Infantry 01/10/1918 III. D. 18. Canadian Private 2537426 Canadian Infantry (Central Ontario Regiment) 29/09/1918 Age: 29 I. G. 10. New Zealand Rifleman 72073 New Zealand Rifle Brigade 05/10/1918 Age: 28 IV. B. 2. Canadian Private 3082165 Canadian Infantry (Manitoba Regiment) 28/09/1918 III. A. 22. United Kingdom Private 34835 Oxford and Bucks Light Infantry 01/10/1918 III. D. 13. United Kingdom Corporal 52348 The King's (Liverpool Regiment) 30/09/1918 Age: 28 IV. D. 26. United Kingdom Private 19738 Duke of Wellington's (West Riding Regiment) 27/11/1917 II. G. 6. United Kingdom Private 66368 Machine Gun Corps (Infantry) 27/11/1917 I. F. 8. United Kingdom Gunner 91553 Tank Corps 23/11/1917 Age: 23 II. F. 9. United Kingdom Private 28935 Highland Light Infantry 28/11/1917 I. D. 1. Canadian Private 1015578 Canadian Infantry (Central Ontario Regiment) 27/09/1918 II. D. 6. United Kingdom Private 20011 Middlesex Regiment 24/11/1917 III. F. 19. United Kingdom Private 31051 The Loyal North Lancashire Regiment 02/10/1918 II. E. 25. United Kingdom Private 40190 The King's (Liverpool Regiment) 05/10/1918 I. B. 35. New Zealand Rifleman 65426 New Zealand Rifle Brigade 08/10/1918 Age: 32 IV. C. 21. United Kingdom Private 332247 The King's (Liverpool Regiment) 01/10/1918 I. A. 25. United Kingdom Bombardier 755578 Royal Field Artillery 01/10/1918 I. F. 9. United Kingdom Private 20404 Coldstream Guards 27/11/1917 Age: 20 II. D. 15. United Kingdom Private 538258 Royal Army Medical Corps 03/12/1917 Age: 24 I. D. 12. Canadian Private 226883 Canadian Infantry (Central Ontario Regiment) 29/09/1918 Age: 18 I. G. 14. United Kingdom Corporal 140279 Machine Gun Corps (Infantry) 29/09/1918 Age: 21 II. A. 12. Canadian Private 3105641 Canadian Infantry (Central Ontario Regiment) 27/09/1918 I. D. 13. United Kingdom Rifleman 72533 The King's (Liverpool Regiment) 30/09/1918 II. B. 5. United Kingdom Second Lieutenant Royal Air Force 01/10/1918 Age: 22 I. H. 19. United Kingdom Driver 430182 Royal Engineers 04/10/1918 Age: 22 I. C. 40. United Kingdom Private 150590 2nd Dragoons (Royal Scots Greys) 28/11/1917 Age: 19 II. E. 22. United Kingdom Private 200604 Gordon Highlanders 21/11/1917 Age: 21 I. E. 6. New Zealand Private 28763 Auckland Regiment N.Z.E.F. 01/10/1918 Age: 35 III. C. 20. United Kingdom Private 24740 Royal Scots Fusiliers 01/10/1918 Age: 34 IV. D. 34. Canadian Private 3105197 Canadian Infantry (Central Ontario Regiment) 27/09/1918 Age: 26 II. D. 10. Canadian Private 2173427 Canadian Infantry (Manitoba Regiment) 28/09/1918 II. D. 39. United Kingdom Private 99602 Machine Gun Corps (Infantry) 08/10/1918 II. H. 27. Canadian Sergeant 727841 Canadian Infantry (Central Ontario Regiment) 27/09/1918 Age: 34 II. D. 1. Canadian Private 510468 4th Canadian Mounted Rifles (Central Ontario Regiment) 09/10/1918 III. F. 48. United Kingdom Lance Corporal 266699 Black Watch (Royal Highlanders) 24/03/1918 Age: 30 III. A. 32. Canadian Private 124756 Canadian Infantry (Central Ontario Regiment) 30/09/1918 Age: 24 I. G. 13. New Zealand Private 74021 Auckland Regiment N.Z.E.F. 01/10/1918 Age: 42 III. B. 19. New Zealand Private 68003 Auckland Regiment N.Z.E.F. 01/10/1918 Age: 21 III. B. 14. United Kingdom Private 53974 Machine Gun Corps (Infantry) 28/09/1918 Age: 28 II. E. 16. United Kingdom Gunner 182836 Royal Field Artillery 02/10/1918 Age: 37 II. F. 40. United Kingdom Private 8293 Highland Light Infantry 01/10/1918 IV. B. 12. New Zealand Private 54919 Auckland Regiment N.Z.E.F. 01/10/1918 Age: 48 III. C. 19. United Kingdom Corporal 128635 Machine Gun Corps (Infantry) 08/10/1918 Age: 29 II. H. 26. 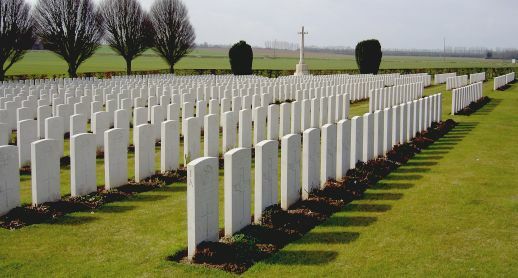 United Kingdom Private 15317 Royal Munster Fusiliers 30/09/1918 Age: 24 I. B. 18. New Zealand Private 60167 Auckland Regiment N.Z.E.F. 01/10/1918 III. B. 15. United Kingdom Private 11358 Irish Guards 27/11/1917 III. F. 9. United Kingdom Rifleman 201604 The King's (Liverpool Regiment) 29/09/1918 Age: 21 I. F. 35. United Kingdom Lance Corporal 116264 Machine Gun Corps (Infantry) 30/09/1918 Age: 22 II. A. 4. United Kingdom Sapper 147848 Royal Engineers 04/10/1918 I. B. 11. United Kingdom Private 82823 Machine Gun Corps (Infantry) 03/12/1917 Age: 29 IV. C. 38. United Kingdom Private 3949 Royal Munster Fusiliers 29/09/1918 I. C. 21. United Kingdom Private 161646 Machine Gun Corps (Infantry) 08/10/1918 Age: 20 II. H. 25. United Kingdom Private 267007 Oxford and Bucks Light Infantry 01/10/1918 Age: 28 III. D. 8. United Kingdom Private GS/19387 5th Dragoon Guards (Princess Charlotte of Wales's) 26/11/1917 Age: 25 III. F. 12. New Zealand Serjeant 44946 Auckland Regiment N.Z.E.F. 01/10/1918 Age: 23 III. C. 3. United Kingdom Private 50624 South Lancashire Regiment 09/10/1918 Age: 21 I. C. 29. United Kingdom Private 17958 Royal Fusiliers 09/10/1918 III. C. 39. United Kingdom Captain Argyll and Sutherland Highlanders 25/11/1917 Age: 20 Sp. Mem. 2. United Kingdom Serjeant 44339 Machine Gun Corps (Infantry) 30/11/1917 Age: 19 I. H. 15. United Kingdom Private 37755 King's Own (Royal Lancaster Regiment) 28/09/1918 I. E. 22. New Zealand Lance Corporal 52873 New Zealand Rifle Brigade 08/10/1918 Age: 24 III. B. 29. United Kingdom Second Lieutenant The King's (Liverpool Regiment) 08/10/1918 Age: 20 I. C. 9. United Kingdom Able Seaman R/5579 Royal Naval Volunteer Reserve 01/10/1918 III. F. 11. New Zealand Rifleman 67897 New Zealand Rifle Brigade 08/10/1918 Age: 30 IV. C. 7. United Kingdom Private 242947 The Loyal North Lancashire Regiment 01/10/1918 III. D. 38. United Kingdom Lieutenant Royal Air Force 21/09/1918 Age: 21 II. C. 8. New Zealand Rifleman 61759 New Zealand Rifle Brigade 05/10/1918 III. B. 40. Canadian Private 859483 Canadian Infantry (Manitoba Regiment) 28/09/1918 Age: 33 III. A. 26. United Kingdom Lance Serjeant 200986 The Loyal North Lancashire Regiment 28/09/1918 I. A. 8. United Kingdom Rifleman 405855 The King's (Liverpool Regiment) 27/09/1918 I. D. 14. United Kingdom Private 26648 Oxford and Bucks Light Infantry 01/10/1918 III. D. 5. New Zealand Private 33945 Auckland Regiment N.Z.E.F. 01/10/1918 Age: 33 III. B. 10. United Kingdom Private 68765 Royal Fusiliers 27/11/1917 I. E. 34. United Kingdom Private 267553 The King's (Liverpool Regiment) 06/10/1918 Age: 28 I. B. 33. United Kingdom Gunner 34180 Royal Field Artillery 01/10/1918 Age: 24 II. E. 31. United Kingdom Private 9406 Queen's Own (Royal West Kent Regiment) 08/10/1918 Age: 36 III. C. 33. United Kingdom Second Lieutenant Army Cyclist Corps 29/09/1918 Age: 30 II. A. 5. United Kingdom Private 18307 Royal Munster Fusiliers 30/09/1918 Age: 27 I. C. 20. New Zealand Lance Corporal 45551 Auckland Regiment N.Z.E.F. 01/10/1918 Age: 27 III. B. 16. United Kingdom Rifleman A/200449 King's Royal Rifle Corps 30/11/1917 Age: 36 III. F. 72. Canadian Private 3131032 Canadian Infantry (Manitoba Regiment) 28/09/1918 Age: 23 III. A. 19. United Kingdom Corporal 43202 Royal Irish Rifles 23/11/1917 III. F. 25. New Zealand Rifleman 65799 New Zealand Rifle Brigade 08/10/1918 Age: 34 III. B. 4. New Zealand Lance Corporal 31703 Auckland Regiment N.Z.E.F. 01/10/1918 Age: 35 III. C. 5. 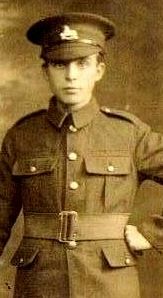 United Kingdom Private 49023 The Loyal North Lancashire Regiment 28/09/1918 Age: 18 I. A. 2. United Kingdom Private 266101 The King's (Liverpool Regiment) 27/09/1918 I. F. 26. United Kingdom Private 53303 The King's (Liverpool Regiment) 29/09/1918 Age: 30 II. E. 20. United Kingdom Gunner 68785 Royal Field Artillery 28/09/1918 Age: 19 I. E. 20. United Kingdom Private 241497 The Loyal North Lancashire Regiment 04/10/1918 I. B. 5. United Kingdom Gunner 122059 Royal Field Artillery 28/09/1918 II. E. 1. United Kingdom Private 2407 Royal Munster Fusiliers 30/09/1918 I. C. 15. New Zealand Rifleman 69878 New Zealand Rifle Brigade 05/10/1918 Age: 35 III. B. 37. United Kingdom Able Seaman R/6778 Royal Naval Volunteer Reserve 08/10/1918 IV. C. 8. United Kingdom Serjeant 4970 Scots Guards 25/11/1917 I. H. 8. United Kingdom Private S/42732 Gordon Highlanders 01/10/1918 Age: 32 III. B. 21. United Kingdom Rifleman 25623 The King's (Liverpool Regiment) 29/09/1918 Age: 36 II. F. 2. United Kingdom Private 1633 1st King Edward's Horse 20/11/1917 Age: 19 III. F. 80. United Kingdom Private 30598 Oxford and Bucks Light Infantry 01/10/1918 IV. B. 37. United Kingdom Second Lieutenant The King's (Liverpool Regiment) 30/09/1918 Age: 24 II. C. 5. United Kingdom Second Lieutenant The King's (Liverpool Regiment) 05/10/1918 Age: 34 I. B. 29. United Kingdom Lieutenant Yorkshire Regiment 25/11/1917 Age: 20 III. F. 22. United Kingdom Lieutenant South Lancashire Regiment 09/10/1918 Age: 20 I. C. 25. Canadian Corporal 476003 Canadian Machine Gun Corps 29/09/1918 I. H. 26. United Kingdom Private 31124 The Loyal North Lancashire Regiment 28/09/1918 Age: 22 I. C. 4. New Zealand Rifleman 70124 New Zealand Rifle Brigade 05/10/1918 IV. B. 7. Canadian Private 33935 Canadian Infantry (Central Ontario Regiment) 29/09/1918 Age: 31 I. G. 15. United Kingdom Serjeant 28992 The Loyal North Lancashire Regiment 28/09/1918 Age: 20 II. B. 15. United Kingdom Private 31618 The Loyal North Lancashire Regiment 01/10/1918 Age: 22 II. A. 10. United Kingdom Serjeant 9242 Suffolk Regiment 24/11/1917 I. F. 24. 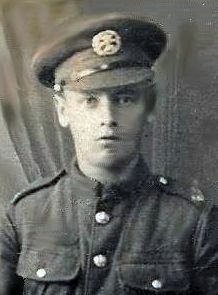 United Kingdom Lance Serjeant 67678 Machine Gun Corps (Infantry) 27/11/1917 Age: 25 I. F. 7. Canadian Corporal 252784 Canadian Infantry (Central Ontario Regiment) 27/09/1918 Age: 30 II. D. 2. United Kingdom Able Seaman R/4705 Royal Naval Volunteer Reserve 29/09/1918 Age: 22 I. A. 1. United Kingdom Private GS/8898 5th Dragoon Guards (Princess Charlotte of Wales's) 26/11/1917 III. F. 13/14. United Kingdom Private 16727 Scots Guards 27/11/1917 Age: 29 II. E. 11. United Kingdom Private 50309 Northumberland Fusiliers 09/10/1918 III. F. 52. United Kingdom Private 50965 The King's (Liverpool Regiment) 29/09/1918 I. A. 18. New Zealand Private 63939 Auckland Regiment N.Z.E.F. 29/09/1918 III. B. 13. United Kingdom Able Seaman Tyneside Z/4522 Royal Naval Volunteer Reserve 30/09/1918 Age: 22 III. D. 39. United Kingdom Able Seaman R/6733 Royal Naval Volunteer Reserve 29/09/1918 I. C. 31. Canadian Private 3031019 Canadian Infantry (Central Ontario Regiment) 29/09/1918 I. G. 16. New Zealand Private 52051 Auckland Regiment N.Z.E.F. 01/10/1918 Age: 18 III. C. 21. Canadian Private 523477 Canadian Machine Gun Corps 30/09/1918 I. H. 24. Canadian Private 225499 Canadian Infantry (Central Ontario Regiment) 27/09/1918 Age: 27 II. D. 7. New Zealand Private 33965 Auckland Regiment N.Z.E.F. 01/10/1918 Age: 20 III. C. 22. United Kingdom Corporal 131 Queen's Own (Royal West Kent Regiment) 30/11/1917 Age: 24 III. F. 66. United Kingdom Lance Corporal 306578 Tank Corps 03/10/1918 Age: 24 I. E. 21. United Kingdom Private 243260 The Loyal North Lancashire Regiment 05/10/1918 I. B. 25. United Kingdom Gunner 265264 Royal Field Artillery 08/10/1918 Age: 25 IV. B. 14. United Kingdom Private 30395 Oxford and Bucks Light Infantry 01/10/1918 Age: 40 IV. B. 27. Canadian Private 192330 Canadian Infantry (Quebec Regiment) 28/09/1918 Age: 21 II. C. 9. United Kingdom Private 266024 South Lancashire Regiment 27/09/1918 I. B. 22. United Kingdom Private 20877 Grenadier Guards 28/11/1917 I. D. 16. United Kingdom Private 87435 The King's (Liverpool Regiment) 29/09/1918 Age: 19 II. B. 11. United Kingdom Second Lieutenant Royal Air Force 01/10/1918 I. H. 21. United Kingdom Private 19901 Coldstream Guards 27/11/1917 Sp. Mem. 7. United Kingdom Private 20825 Coldstream Guards 27/11/1917 Sp. Mem. 5. United Kingdom Private 307373 Tank Corps 07/10/1918 IV. B. 10. United Kingdom Captain 20th Hussars 27/11/1917 Age: 32 II. F. 28. United Kingdom Private 202428 Gordon Highlanders 21/11/1917 I. E. 4. United Kingdom Private 34826 Oxford and Bucks Light Infantry 01/10/1918 IV. B. 28. United Kingdom Captain Gordon Highlanders 21/11/1917 Age: 28 I. E. 2. New Zealand Private 65191 Auckland Regiment N.Z.E.F. 01/10/1918 Age: 34 III. C. 23. United Kingdom Rifleman 50806 The King's (Liverpool Regiment) 30/09/1918 Age: 20 II. B. 7. New Zealand Rifleman 74231 New Zealand Rifle Brigade 08/10/1918 Age: 21 IV. C. 23. New Zealand Lance Serjeant 27115 New Zealand Rifle Brigade 05/10/1918 III. B. 28. Canadian Private 654092 Canadian Infantry (Central Ontario Regiment) 29/09/1918 Age: 22 II. D. 13. United Kingdom Private 202252 South Lancashire Regiment 27/09/1918 Age: 38 I. B. 24. Canadian Private 249902 Canadian Infantry (Central Ontario Regiment) 27/09/1918 Age: 29 II. D. 5. United Kingdom Petty Officer Tyneside Z/3648 Royal Naval Volunteer Reserve 08/10/1918 II. H. 28. United Kingdom Private 46740 The King's (Liverpool Regiment) 05/10/1918 I. H. 30. United Kingdom Private 49458 The King's (Liverpool Regiment) 05/10/1918 Age: 31 I. B. 28. New Zealand Rifleman 68905 New Zealand Rifle Brigade 08/10/1918 IV. C. 15. United Kingdom Second Lieutenant Yorkshire Regiment 23/11/1917 Age: 26 III. F. 28. United Kingdom Private 21384 Oxford and Bucks Light Infantry 01/10/1918 Age: 22 IV. B. 30. United Kingdom Private 12635 Oxford and Bucks Light Infantry 01/10/1918 III. D. 15. United Kingdom Able Seaman R/963 Royal Naval Volunteer Reserve 29/09/1918 Age: 20 I. A. 34. United Kingdom Private 238112 North Staffordshire Regiment 09/10/1918 IV. C. 5. New Zealand Rifleman 68762 New Zealand Rifle Brigade 08/10/1918 Age: 32 IV. C. 20. United Kingdom Private S/9295 Seaforth Highlanders 23/11/1917 Age: 32 II. D. 19. United Kingdom Private 16362 Scots Guards 25/11/1917 Age: 19 IV. A. 26. United Kingdom Corporal 53564 Royal Army Medical Corps 09/10/1918 Age: 28 II. E. 12. United Kingdom Rifleman R/11782 King's Royal Rifle Corps 08/10/1918 Age: 30 I. C. 13. United Kingdom Gunner 945668 Royal Field Artillery 01/10/1918 Age: 28 II. E. 27. United Kingdom Private 5380 Royal Munster Fusiliers 27/09/1918 I. C. 16. New Zealand Rifleman 71139 New Zealand Rifle Brigade 08/10/1918 Age: 24 III. B. 39. United Kingdom Serjeant 46323 Machine Gun Corps (Infantry) 30/09/1918 Age: 33 IV. D. 14. Canadian Private 2507324 Canadian Infantry (Central Ontario Regiment) 29/09/1918 I. G. 12. United Kingdom Lance Corporal 156096 Machine Gun Corps (Infantry) 30/09/1918 Age: 22 II. A. 6. United Kingdom Private 266286 The Loyal North Lancashire Regiment 28/09/1918 I. C. 2. New Zealand Private 42593 Otago Regiment N.Z.E.F. 08/10/1918 Age: 31 IV. B. 16. United Kingdom Private 71905 Machine Gun Corps (Infantry) 08/10/1918 I. C. 6. New Zealand Corporal 23/931 New Zealand Rifle Brigade 05/10/1918 Age: 23 III. B. 35. Canadian Private 2458366 2nd Canadian Mounted Rifles (British Columbia Regiment) 29/09/1918 Age: 22 III. F. 2. United Kingdom Private S/21721 Black Watch (Royal Highlanders) 24/03/1918 Age: 19 III. A. 32. United Kingdom Private 203177 North Staffordshire Regiment 29/11/1917 Age: 20 I. H. 13. United Kingdom Private 44159 Machine Gun Corps (Infantry) 30/11/1917 Age: 34 I. H. 14. United Kingdom Private 27173 Oxford and Bucks Light Infantry 01/10/1918 Age: 20 IV. B. 32. Canadian Private 2507365 Canadian Infantry (Central Ontario Regiment) 01/10/1918 Age: 24 II. D. 27. United Kingdom Private Ply/2221(S) Royal Marine Light Infantry 30/09/1918 Age: 32 IV. D. 25. New Zealand Lance Corporal 62178 New Zealand Rifle Brigade 05/10/1918 Age: 30 IV. B. 6. United Kingdom Private PO/2773(S) Royal Marine Light Infantry 28/09/1918 Age: 27 II. A. 1. United Kingdom Private 14125 Oxford and Bucks Light Infantry 01/10/1918 III. D. 14. United Kingdom Able Seaman Tyneside Z/1712 Royal Naval Volunteer Reserve 08/10/1918 III. C. 28. United Kingdom Private PO/1287(S) Royal Marine Light Infantry 08/10/1918 I. C. 12. United Kingdom Private 28744 The Loyal North Lancashire Regiment 30/09/1918 I. E. 18. United Kingdom Private 34763 Oxford and Bucks Light Infantry 01/10/1918 Age: 19 III. D. 10. United Kingdom Sub-Lieutenant Royal Naval Volunteer Reserve 28/09/1918 Age: 31 I. E. 9. United Kingdom Lance Corporal S/41599 Gordon Highlanders 21/11/1917 I. E. 5. United Kingdom Bugler 9970 Oxford and Bucks Light Infantry 01/10/1918 III. D. 1. United Kingdom Rifleman 26293 The King's (Liverpool Regiment) 06/10/1918 I. B. 30. United Kingdom Private 34765 Oxford and Bucks Light Infantry 01/10/1918 IV. B. 25. United Kingdom Lance Corporal 44825 Welsh Regiment 25/11/1917 Age: 21 III. D. 35. United Kingdom Rifleman 38770 The King's (Liverpool Regiment) 30/09/1918 II. B. 6. United Kingdom Able Seaman R/6594 Royal Naval Volunteer Reserve 27/09/1918 I. B. 21. 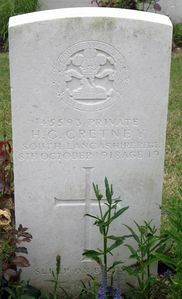 United Kingdom Private 27792 Grenadier Guards 27/11/1917 Age: 26 II. F. 3. United Kingdom Private 93091 Royal Fusiliers 03/10/1918 III. C. 35. United Kingdom Lance Corporal 36247 East Surrey Regiment 10/10/1918 III. C. 40. United Kingdom Bombardier 10518 Royal Field Artillery 08/10/1918 IV. B. 13. New Zealand Rifleman 36502 New Zealand Rifle Brigade 08/10/1918 Age: 40 III. B. 38. United Kingdom Private 33021 Oxford and Bucks Light Infantry 01/10/1918 Age: 21 IV. B. 39. New Zealand Private 61862 Wellington Regiment N.Z.E.F. 01/10/1918 Age: 25 III. B. 23. United Kingdom Serjeant 265780 Monmouthshire Regiment 25/11/1917 Age: 25 I. E. 39. Canadian Private 654115 Canadian Infantry (Western Ontario Regiment) 29/09/1918 Age: 23 III. F. 86. United Kingdom Able Seaman R/4217 Royal Naval Volunteer Reserve 08/10/1918 II. H. 8. United Kingdom Private 267505 The King's (Liverpool Regiment) 27/09/1918 Age: 20 I. F. 25. United Kingdom Private 683861 London Regiment 01/12/1917 I. D. 29. United Kingdom Private 22219 Grenadier Guards 27/11/1917 Age: 27 I. D. 24. United Kingdom Second Lieutenant East Surrey Regiment 26/11/1917 Age: 35 I. F. 12. United Kingdom Private 14713 Oxford and Bucks Light Infantry 01/10/1918 Age: 29 III. D. 7. United Kingdom Lance Corporal 27906 Welsh Regiment 24/11/1917 II. G. 15. New Zealand Lance Corporal 32110 Auckland Regiment N.Z.E.F. 01/10/1918 Age: 22 III. C. 6. United Kingdom Lance Corporal 28544 King's Own (Royal Lancaster Regiment) 26/11/1917 II. E. 36. United Kingdom Private 53342 The King's (Liverpool Regiment) 30/09/1918 Age: 27 I. A. 11. United Kingdom Private 40179 Welsh Regiment 24/11/1917 Age: 26 I. G. 36. United Kingdom Private 146734 Machine Gun Corps (Infantry) 06/10/1918 Age: 19 II. B. 12. New Zealand Private 60244 Auckland Regiment N.Z.E.F. 01/10/1918 Age: 33 III. B. 7. United Kingdom Private 201441 South Lancashire Regiment 02/10/1918 I. B. 2. United Kingdom Private 20850 Coldstream Guards 27/11/1917 Age: 27 II D. 12. Canadian Private 1003313 Canadian Infantry (Central Ontario Regiment) 27/09/1918 Age: 24 II. C. 7. United Kingdom Private 205025 Royal Welsh Fusiliers 24/11/1917 I. G. 21. New Zealand Second Lieutenant 23/323 New Zealand Rifle Brigade 05/10/1918 Age: 22 III. B. 26. United Kingdom Serjeant CH/17223 Royal Marine Light Infantry 27/09/1918 I. E. 17. New Zealand Private 63465 Auckland Regiment N.Z.E.F. 01/10/1918 Age: 27 III. B. 17. United Kingdom Private 201182 Highland Light Infantry 04/10/1918 IV. D. 35. United Kingdom Lance Corporal 22321 King's Own (Royal Lancaster Regiment) 26/11/1917 II. G. 8. United Kingdom Rifleman 570261 London Regiment 29/11/1917 Age: 22 II. F. 27. United Kingdom Private 285060 Seaforth Highlanders 21/11/1917 II. F. 25. United Kingdom Private 34804 Oxford and Bucks Light Infantry 01/10/1918 IV. B. 31. United Kingdom Private 331956 The King's (Liverpool Regiment) 04/10/1918 I. B. 27. United Kingdom Lance Corporal 19171 Coldstream Guards 28/11/1917 III. F. 51. New Zealand Private 34466 Auckland Regiment N.Z.E.F. 01/10/1918 Age: 27 III. C. 24. Canadian Private 225462 Canadian Infantry (Central Ontario Regiment) 30/09/1918 I. A. 35. United Kingdom Private 36966 Royal Fusiliers 29/09/1918 Age: 31 IV. D. 16.